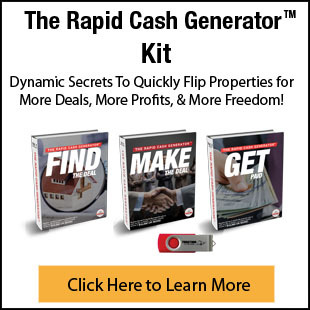 Developing this skill will allow you to produce fast profits no matter what your focus – rehabbing, landlording or wholesaling! Why deal with the headaches others have when there are techniques to avoid them? I’ll share them all with you here! 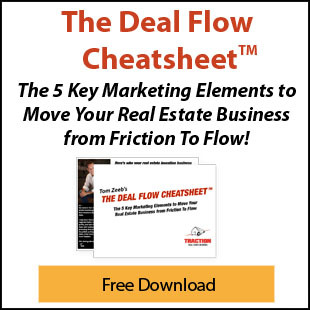 Many real estate investors struggle with negotiating, but now you don’t have to, I’ll tell you exactly how to turn the right leads into grand-slam deals using my easy-to-learn negotiating methods! You’ll be amazed at how easy this is to do when you use the secrets I reveal! Just think what you could do with $10,000 a month! That’s $120,000 a year and you’ll be putting yourself in an excellent position to grow your business even more as the market continues to improve! Find out the key components of a good deal and how to spot them quickly & easily so that you never waste valuable time on unprofitable deals! This exciting technique could save you thousands of dollars and help you quickly build up, or rebuild, a handsome retirement fund! Your business should be built around your lifestyle goals, but so many people miss this point and then get stuck in the trap of working more to make more. I’ll show you how to focus correctly right from the start so that you can “have it all” – a terrific income and a terrific life! This is what we all really want at the end of the day… find out how to get it here!